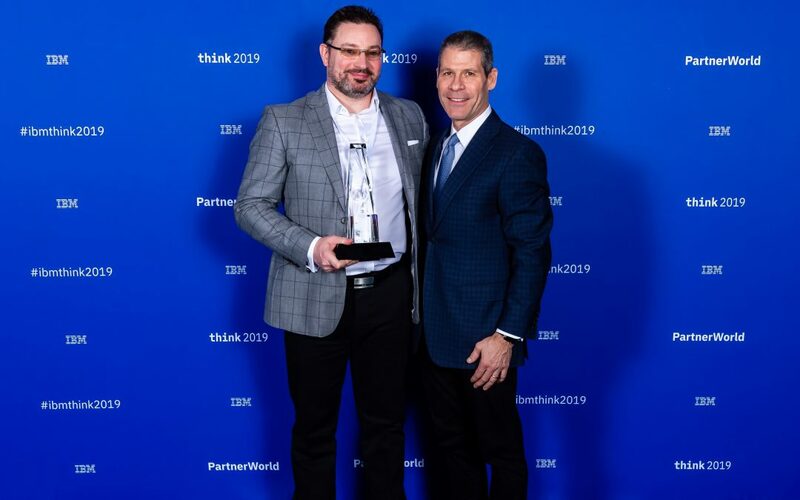 Assimil8 is pleased to announce that we’ve earned a 2019 IBM Beacon Award for Outstanding Analytics Embedded Solution. Revealed at the IBM PartnerWorld at Think conference in San Francisco, California on February 11, 2019, we were selected by a panel of expert judges consisting of IBM executives, industry analysts, and industry experts. The award recognises Assimil8’s exceptional work in driving business value by delivering world-class solutions through our Theia Solution. Theia is a revolutionary consolidation platform. It effortlessly brings multiple business intelligence tools and assets together in a single visualisation; giving you one view into your entire BI estate. Theia helps clients that have the business challenge of ‘Data Chaos’, who are typically wallowing in the complexities of multiple BI/MI/Content platforms. Where a client needs to achieve centralisation, clarity, and simplicity in one seamless data platform from their ‘Data Chaos’, we introduce Theia. The beauty of Theia is that everyone keeps the BI tools they know and love. Now all your platforms can coexist in harmony; removing the risk and expense of standardising your business intelligence environment. Theia, is a differentiator in the analytics market place and allows Assimil8 to provide a new range of product and service offerings in a very competitive market place. We see much chaos in medium and large-scale Analytical deployments. Using Theia solutions we can centralise, organise and control and enhance business analytical assets, therefore bringing clarity and extending the value of analytical solutions..
Assimil8 was selected among dozens of global applicants based on an in-depth application process that included customer testimonials. This win is a testament not only to our commitment to innovation but also to our customers and their satisfaction and business growth. Assimil8 was one of 18 award winners and dozens of finalists for categories encompassing a wide range of solution and services areas – from analytics and cloud to security and customer engagement. The IBM Beacon Awards program recognises IBM Business Partners that deliver exceptional solutions to help drive business value and transform the way clients and industries operate. This year’s program is especially remarkable as the 20th anniversary of the IBM Beacon Awards. Winning an IBM Beacon Award will forever mark our place in IBM’s storied tradition of constant innovation. For more information about the 2019 IBM Beacon Awards, including details on all winners and finalists, please visit https://www.ibm.com/partnerworld/page/beacon-awards-overview.